I've written about my grandfather before. Lon Dawson lived in the Uptown neighborhood during my mom's school years, before retiring to Southern Illinois and taking up a career as a writer. 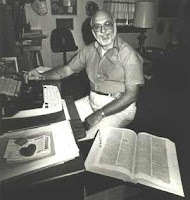 One of the manuscripts he completed chronicles his adventures during World War II in the Pacific. 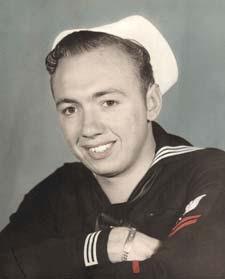 He had enlisted in the Navy prior to the attack on Pearl Harbor, was assigned to the USS Trever, a four stack destroyer, and spent most of the war aboard that ship. Well, just in time for what would have been his 86th birthday, the book is now available. It's an interesting perspective of the war through the eyes of a seventeen-year-old kid from Chicago's north side. You can read a little more about my grandfather here, or go to Amazon and see the book.